FIRST OF ALL: Please BUY my zines if you can. They are not expensive at all and you would really support me. I also love zine trades, so get in touch! SECONDLY: Feedback is appreciated, also if you download stuff! My other zines (Same Heartbeats, Echotopia, Scissors & Chainsaws…) are still for sale. Contact me if you want to order them. 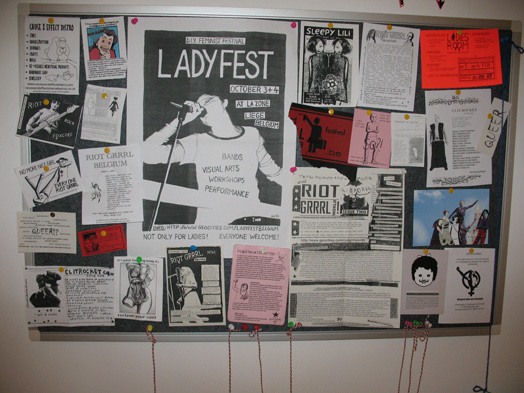 This entry was posted in Publication, Zine and tagged anarcha-feminisme, be all you can be, DIY or die, download, dutch, english, flapper gathering, free, leaflets, pamphlets, publications, riot grrrl, same heartbeats, self-defence, thesis, zines. Bookmark the permalink.